On August 31, 2015, South Korean diplomats held a grand celebration to commemorate the 24th anniversary of Uzbekistan’s declaration of independence from the USSR. This spectacle, which took place at Seoul’s Lotte Hotel, brought back to the spotlight the marked improvement in relations between South Korea and Uzbekistan in recent years. Uzbekistan highlighted its commitment to South Korea as a major partner, when Uzbek president Islam Karimov chose South Korea as his first travel destination following his rubber-stamp May 2015 reelection. Uzbekistan has also displaced Kazakhstan as South Korea’s primary trade partner in Central Asia, with $1.9 billion in trade linkages being recorded last year between the two countries. South Korea’s rebalance towards Uzbekistan is intriguing, and can be explained by two primary factors. First, South Korea and Uzbekistan share many economic interests in the energy, infrastructure and manufacturing sectors. The ROK has deftly balanced its investment in these sectors to maximize its influence in the Uzbek economy. Second, South Korea and Uzbekistan have significant normative and cultural synergy. This synergy is a product of ROK’s respect for Uzbekistan’s economic sovereignty, Uzbekistan’s support for a nuclear-free Korean peninsula, and the large Korean diaspora in Uzbekistan. These factors have driven the creation of a cooperative working relationship between the ROK and Uzbekistan. South Korea and Uzbekistan enjoy a multifaceted and rapidly expanding trade relationship. 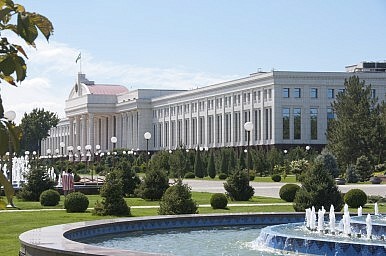 According to the CIA World Factbook, Uzbekistan receives 15.4 percent of its imports from South Korea, a total surpassed only by its imports from China and Russia. Natural gas-related technology is a major source of South Korean investment in the Uzbek economy. South Korea’s stakes in the Surgil gas field, the joint construction of a major Uzbek gas processing plant and the Bukhara region’s natural gas development project are worth a combined $12 billion. However, South Korea’s current economic leverage in Uzbekistan is primarily a product of the ROK’s efforts to assist Uzbekistan in diversifying its economy beyond the natural gas sector. One field where South Korea’s diversification strategy has been particularly successful is renewable energy. Uzbekistan has publicly declared its desire to build a four gigawatt solar power plant by 2030. The Asian Development Bank also included Uzbekistan as an Asia Solar Energy Initiative assistance recipient in 2010, due to its abundant sunlight and wide-open natural spaces. In light of these commitments, South Korea realized that investing in solar energy would be an effective way to increase its economic leverage over Uzbekistan. In December 2013, South Korea agreed to invest $300 million in Uzbekistan’s first solar energy project, based out of Samarkand. South Korea’s show of confidence in Uzbekistan’s solar energy efforts was an extremely valuable leap of faith that was swiftly followed by greatly expanded cooperation in the nuclear energy sphere. During her 2014 Central Asian tour, South Korea’s president Park Geun-hye secured an increase in the ROK’s annual imports of uranium from Uzbekistan, from 300 million to 500 million tons. Despite the Fukushima disaster, South Korea continues to depend on nuclear power for its electricity generation needs. Uzbekistan has the seventh largest uranium reserves in the world, making it an important ROK trade partner. Uzbekistan’s commitment to the development of peaceful nuclear energy has strengthened the budding South Korea-Uzbekistan alliance. Uzbekistan’s textiles industry has also sparked South Korean interest. In June 2014, South Korea agreed to create a Textiles Technology Innovation Center in Tashkent. This investment was highly controversial because Uzbekistan has faced widespread condemnation from human rights watchdogs for its use of forced labor in the cotton industry. Advocates of an international boycott of Uzbekistan’s cotton industry have scathingly criticized South Korea’s Daewoo Textile Company for its increasingly dominant stake in the textile sector. South Korea’s blind eye to Uzbekistan’s egregious human rights abuses has been an important factor in its successful partnership with the Karimov regime, but it is also a stance that could, over time, isolate it from other democratic countries. Infrastructure has emerged as the most recent theater for heightened South Korea-Uzbekistan cooperation. In his speech at the recent anniversary celebrations, Chong Jong-Sop, South Korea’s minister of Government Administration and Home Affairs praised Uzbekistan as a hub in the New Silk Road and noted that Uzbekistan has been an important Asian trade center since ancient times. South Korea has made infrastructure investments to match its rhetoric. Earlier this year, Uzbekistan announced a five-year $55 billion plan to modernize its industrial facilities and create new roads and airports. The May 28, 2015 bilateral summit between Park and Karimov confirmed that South Korea has a large share in these projects. In infrastructure, like in energy and manufacturing, the exchange of Korean technological capabilities for Uzbek natural resources is foundational to a sustained ROK-Uzbekistan partnership. In addition to their common economic interests, South Korea and Uzbekistan are also normatively compatible, even though the ROK’s democratic values contrast drastically with Uzbekistan’s highly authoritarian system. With South Korea a middle power located far away from Uzbekistan, Uzbeks do not have the same kinds of concerns about the ROK and its aspirations that they do about Russia and China. South Korea’s emphasis on investing in measures that diversify the Uzbek economy underscores the non-exploitative nature of its involvement in Uzbekistan, and has engendered trust between the two countries. The non-threatening nature of South Korea’s involvement is appealing to Islam Karimov, who rejected EEU membership because he feared the customs union would jeopardize Uzbekistan’s economic sovereignty. Uzbekistan is keen to avoid becoming a client state of Russia or China, so it has welcomed South Korea’s involvement as an effective counterbalance to investments from Central Asia’s dominant powers. South Korea and Uzbekistan also have a shared understanding on security matters, particularly relating to nuclear non-proliferation. Uzbekistan supports a nuclear-free Korean peninsula and the peaceful reunification of the Korean peninsula on South Korea’s terms. Even though Uzbekistan might have possessed tactical nuclear weapons capabilities during the Soviet era, Uzbekistan supported Central Asia’s creation of a nuclear free zone. These shared viewpoints provide a firm platform for bilateral cooperation in economic sectors impacting South Korea’s national security. Uzbekistan’s large Korean diaspora has also provided an exceptional degree of cultural synergy, which has fuelled economic cooperation. The ethnic deportation of Koreans in the Soviet Union during the Stalin era resulted in Uzbekistan having the sixth largest Korean diaspora in the world, with a population of around 174,000 Koreans. As a consequence of this mass migration, South Korea and Uzbekistan have passed special legislation to incentivize closer economic linkages. Uzbekistan and South Korea regard driving licenses from either country as equal and legally usable in both countries. Even though Uzbekistan retains Soviet-era exit visa requirements for citizens desiring to leave the CIS region, an estimated 14,000 Uzbek nationals work in South Korea. Uzbekistan has expressed interest in expanding migration flows to South Korea, given the benefits from exposure to Korea’s high-tech economy. The special relationship between South Korea and Uzbekistan firmly establishes the ROK’s stake in the multipolar competition for geopolitical influence in Central Asia. As South Korea also maintains favorable relations with Kazakhstan, its role as a counter-balancer to Russian and Chinese regional hegemony could throw an unexpected wrench in the two powers’ efforts to establish their unquestioned hegemony over the resource-rich region.